The Philip C. Jessup International Law Moot Court Competition, now in its 54th year, gathers competitors from over 550 law schools who compete in a simulated fictional dispute before the International Court of Justice. To celebrate the theme of this year’s competition, OUP author Jane McAdam has written a special blog piece on climate change and the phenomenon of the ‘disappearing’ state. The ‘disappearing State’ or ‘sinking island’ phenomenon has become a litmus test for the dramatic impacts of climate change on human society. Atlantis-style predictions of whole countries disappearing beneath the waves raise fascinating legal issues that go to the heart of the rules on the creation and extinction of States. These rules have never been tested in this way before. But while the potential loss of territory for environmental reasons is novel, much of this deliberation is taking place in the abstract. Underlying assumptions about why, when, whether, and how States might ‘disappear’, and the consequences, do not always sit comfortably with the empirical evidence. The danger is that this may lead to well-intentioned, but ultimately misguided, responses. The criteria for statehood under international law are four-fold: a defined territory, a permanent population, an effective government, and the capacity to enter into relations with other States. While all four criteria would seemingly need to be present for a State to come into existence, the absence of all four does not necessarily mean that a State has ceased to exist. This derives from the strong presumption of continuity of States in international law, which presumes that existing States continue even when some of the formal criteria of statehood start to wane. In the context of climate change, it is often assumed that sea-level rise will ultimately inundate the territory of certain low-lying island countries, thus rendering it uninhabitable. It is true that small low-lying island States are particularly vulnerable to climate change impacts, including loss of coastal land and infrastructure due to erosion, inundation, sea-level rise and storm surges; an increase in the frequency and severity of cyclones, creating risks to life, health and homes; loss of coral reefs, with attendant implications for food security and the ecosystems on which many islanders’ livelihoods depend; changing rainfall patterns, leading to flooding in some areas, drought in others, and threats to fresh water supplies; salt-water intrusion into agricultural land; and extreme temperatures. However, the focus on loss of territory as the indicator of a State’s ‘disappearance’ may be misplaced. Low-lying atoll countries are likely to become uninhabitable as a result of diminished water supplies long before they physically disappear. In October 2011, for example, Tuvalu declared a state of emergency because of severe water shortages, necessitating an urgent humanitarian response (temporary desalination plants, rehydration packs, technical support, and water supplies) from Australia and New Zealand. In international law terms, then, the absence of population, rather than territory, may be the first signal that an entity no longer displays the full indicia of statehood. But where would people go, and what would their legal status be? Movement away from small island States is likely to be slow and gradual, rather than triggered by a sudden event. Although migration has long been a natural human adaptation strategy to environmental variability, the legal (and sometimes physical) barriers to entry imposed by States today considerably restrict people’s ability to move. If people seek to enter another country without permission to do so, they may find themselves in a very precarious legal position, potentially without work rights, basic health care, or social services. They will generally not meet the legal definition of ‘refugee’, which requires a person to show a well-founded fear of persecution for reasons of a particular attribute (such as religion or political opinion). Nor is it clear that they will benefit from complementary protection under human rights law (non-return to a risk to life or inhuman or degrading treatment) — although the more debilitated the home environment, the better chance they will have. Finally, it is unlikely that they would be recognized as stateless persons, since that legal definition is deliberately restricted to people who are ‘not considered as a national by any State under the operation of its law’. Whether or not this could be met may depend in part on whether the ‘State’ is considered still to exist. In any event, though, the statelessness treaties are poorly ratified and few States have statelessness determination procedures in place or a protective legal status for such people. The relocation of whole communities has been raised from time to time as a solution for small island States. But this is an option of last resort for most, and one which should be treated with considerable caution. This is because there is much more to relocation than simply securing territory. Apart from fundamental issues about identity and self-determination, those who move need to know that they can remain and re-enter the new country, enjoy work rights and health rights there, have access to social security if necessary and be able to maintain their culture and traditions, and also what the legal status of children born there would be. There is also the question of how to balance the human rights of relocating groups with those of the communities into which they move. The effects of dislocation from home can last for generations and have significant ramifications for the maintenance and enjoyment of cultural and social rights by resettled communities. That is clear from the situation of the Banabans on Rabi, who were relocated in 1945 from present-day Kiribati to Fiji. This is why a key policy objective of some small island States is to enhance existing migration options to developed countries in the region. Managed migration is a safer mechanism for enabling people to move away from the longer-term effects of climate change, without artificially treating people as in need of international ‘protection’ (from a persecutory State). It can play an important role in livelihood diversification and risk management strategies. Furthermore, given that one of the biggest problems for small island States is overpopulation, increased migration could help to relieve population and resource pressure. This may mean that a smaller population could remain on the territory for longer. 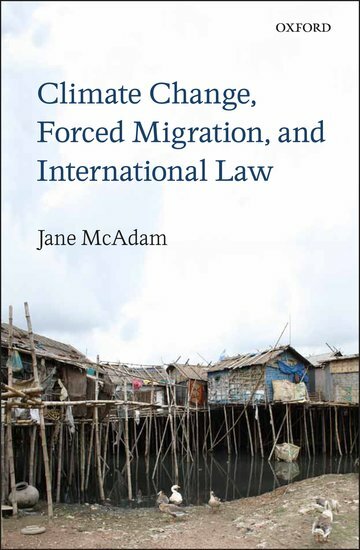 Jane McAdam is Scientia Professor of Law at the University of New South Wales, Australia and a non-resident Senior Fellow at the Brookings Institution in Washington, D.C. She is the author of Climate Change, Forced Migration, and International Law. We would like to offer competitors of the Jessup Moot a month of free access to the Journal of International Criminal Justice. Your access will last through 6 May 2013. 1. Register with My Account: Visit My Account online to create your account. If you have already created a login for My Account, simply login into your account with your username and password. Once you’ve completed online registration for a free trial access, you will be free to browse, read and save articles. Please note that in rare cases it can take up to 36 hours for a free trial to activate. Oxford University Press is a leading publisher in Public International Law, including the Max Planck Encyclopedia of Public International Law, latest titles from thought leaders in the field, and a wide range of law journals and online products. We publish original works across key areas of study, from humanitarian to international economic to environmental law, developing outstanding resources to support students, scholars, and practitioners worldwide. 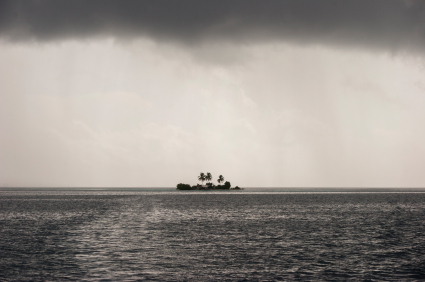 Image credit: Tinny, small tropical island in Indian ocean during a storm with wind and rain. Photo by Alfaproxima, iStockphoto.